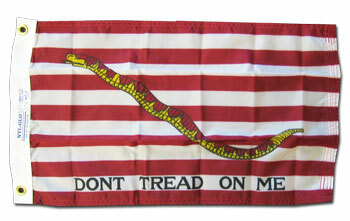 The First Navy Jack is the current U.S. jack authorized by the United States Navy. The design is traditionally regarded as that of first U.S. naval jack flown in the earliest years of the republic, though little if any historical documentation supports this lore. Custom made in the USA; this smaller size is great for boat, trailer or motorcycle applications. Made of high quality marine nylon with brass grommets on the header and reinforced stitching on the fly end.